Tiempo: 5h30min (walking time without stops). 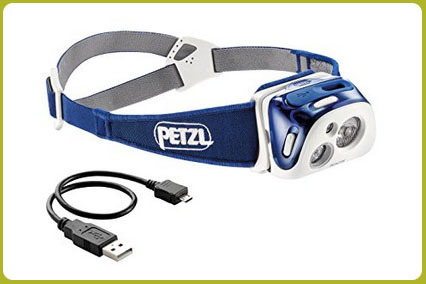 Difficulty: This stage covers high mountain terrain (frequent snow, unstable scree…). 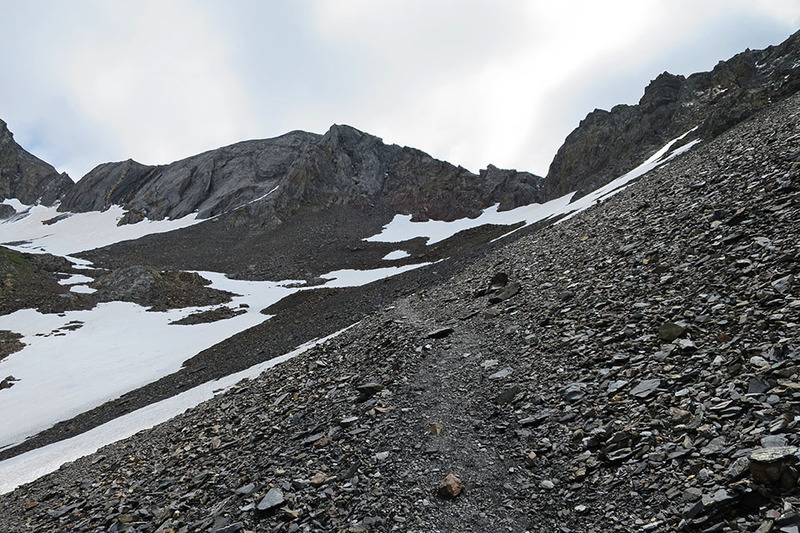 There may be snow on Tebarray col until August or September. 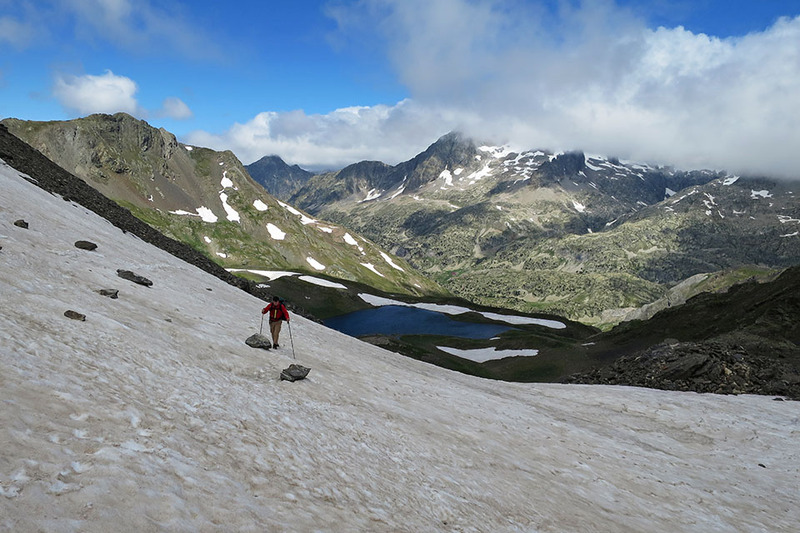 For the last 50 metres the gradient hits about 40º, so an ice axe would be recommended. In wintery conditions, the access route to Respomuso auberge could be highly susceptible to avalanches. 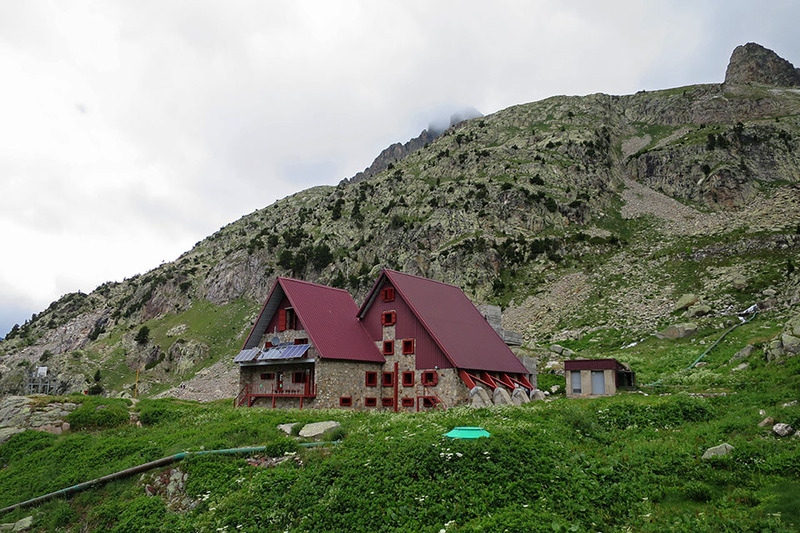 Suggestions: If you decide to organise the stages differently, you could spend the night at the new Ibones de Bachimaña shelter. 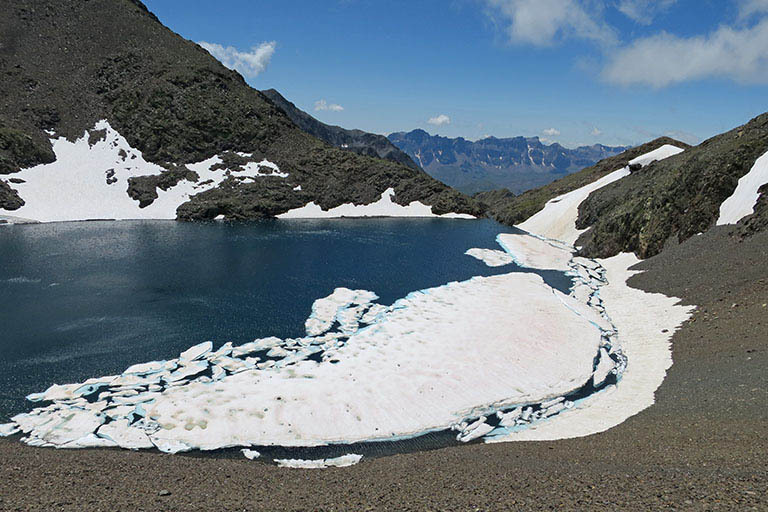 An alternative to this stage is, once you reach the Bachimaña Alto lake/reservoir, keep walking via the Bramatuero lakes, cross the Letrero Col, and pass the Los Batanes lakes on the way down to Ara, where you join the main route of the next stage in route to Bujaruelo. 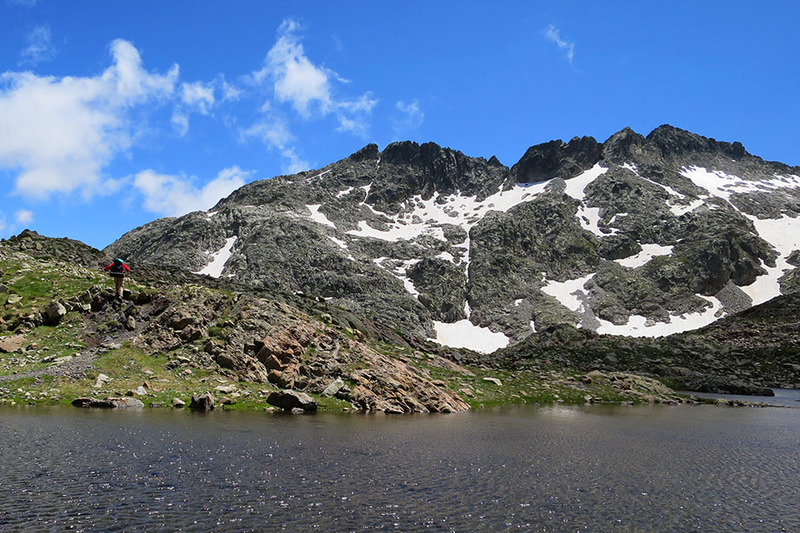 (2h15min; 4,6 kms) Collado de Tebarray or Piedrafita (2771m). 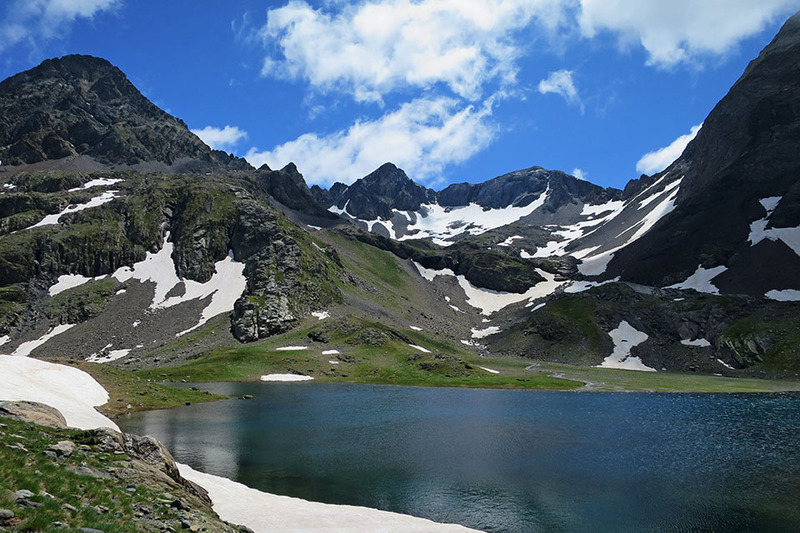 From here, with very little effort, you could reach the Tebarray peak (2,916m). 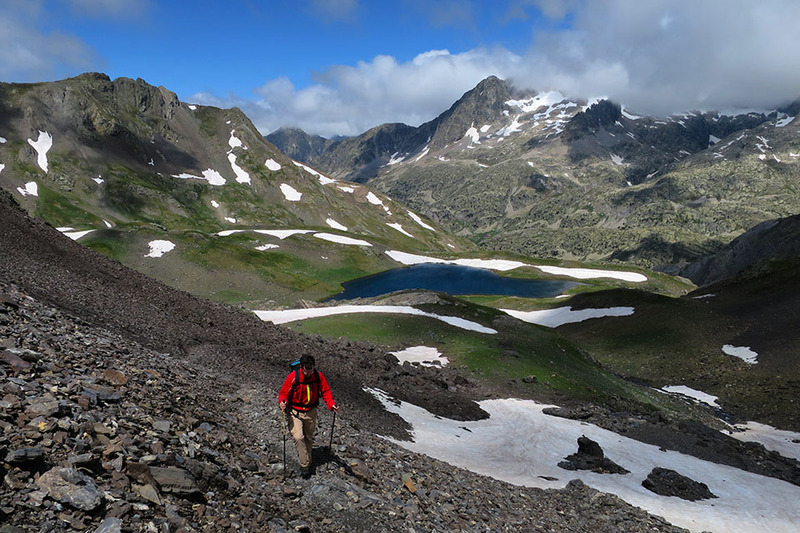 The path continues along the left-hand side across scree, skirting Tebarray lake, and leads to the Cuello de L’Infierno (2,721m), below the Picos del Infierno (3,082m, ascent from the col). 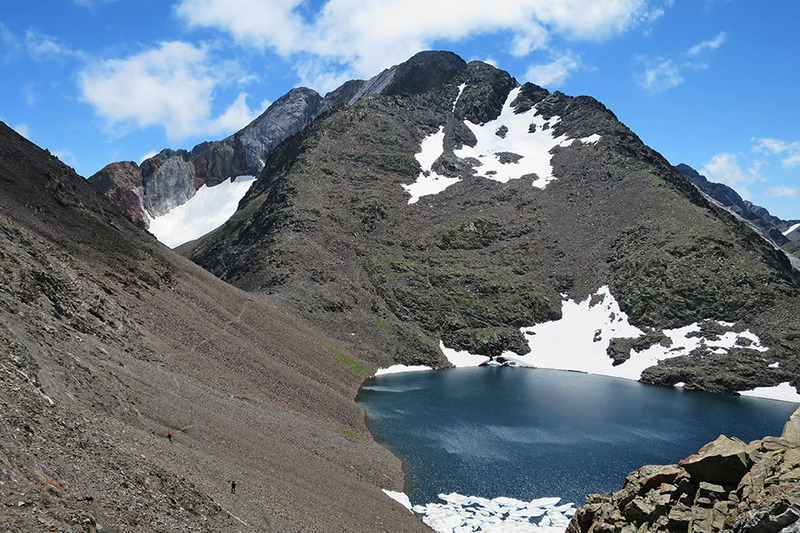 You now begin your descent through Piedrafita ravine, - straight ahead in the distance you can make out the imposing Vignemale – where a stream will emerge, and you walk alongside it as far as Bachimaña Alto lake. Before reaching it, you will come to a crossing. 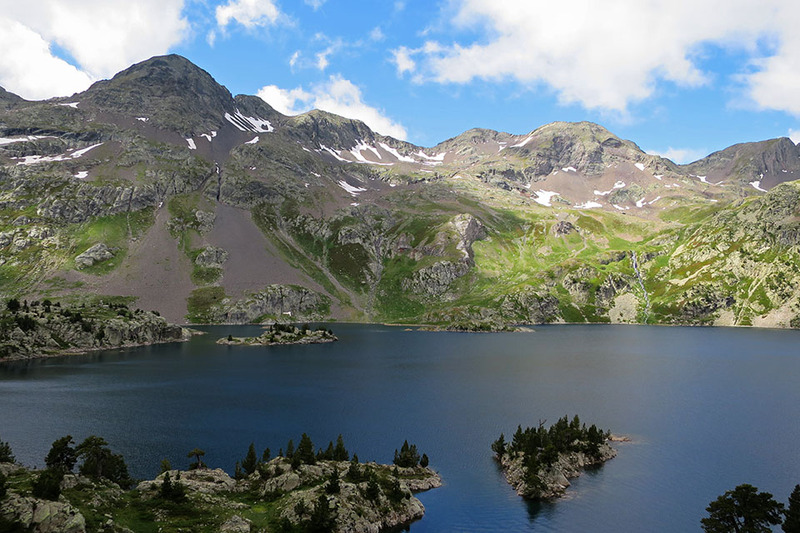 If you head left, the path will lead you to Puerto de Marcadau (1h15) or the Bramatuero lakes (possible variant). You continue to the right towards the dam, walking around the lake/reservoir. 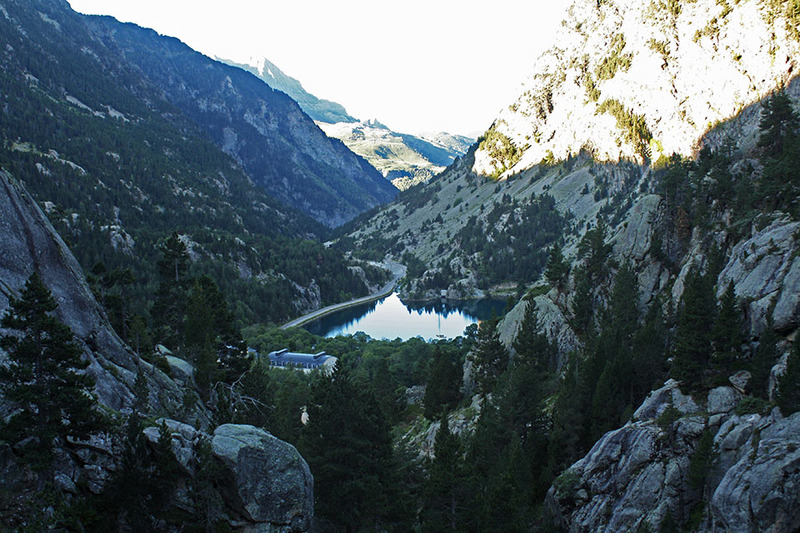 (5h30min; 13,3kms) Balneario de Panticosa (1640m). Hotel complex, spa, mountain hostel, souvenir shop, etc. 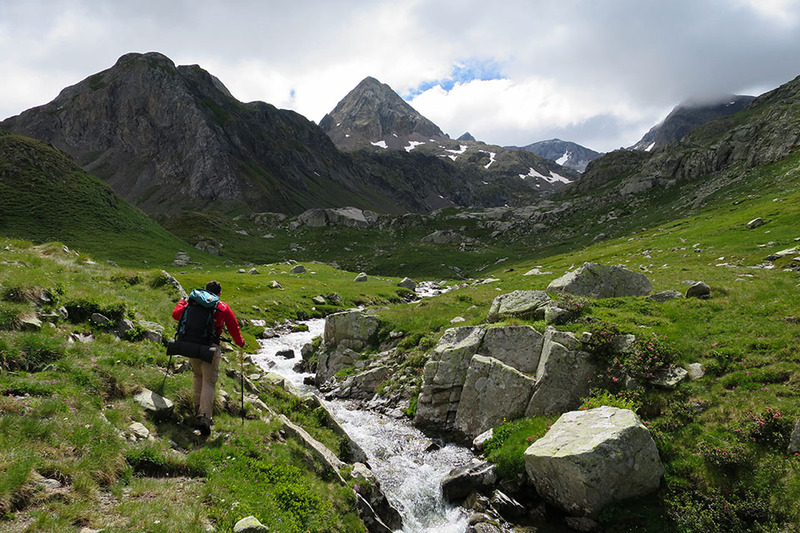 At the beginning of the stage you have the Respomuso auberge	(/). 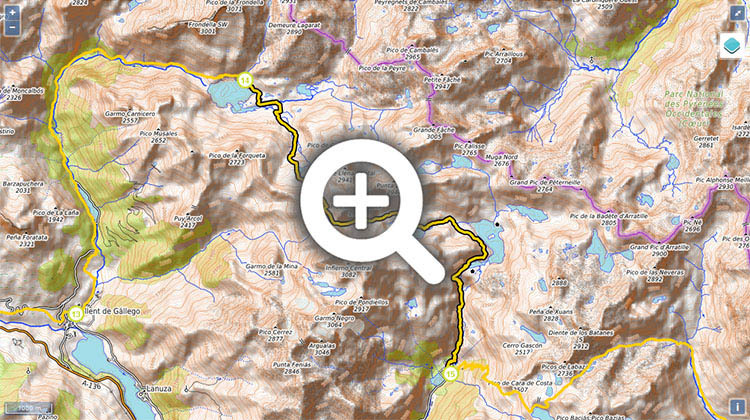 During the stage you can stop at the Ibones de Bachimaña shelter	(/). There are also a few cabins along the route. 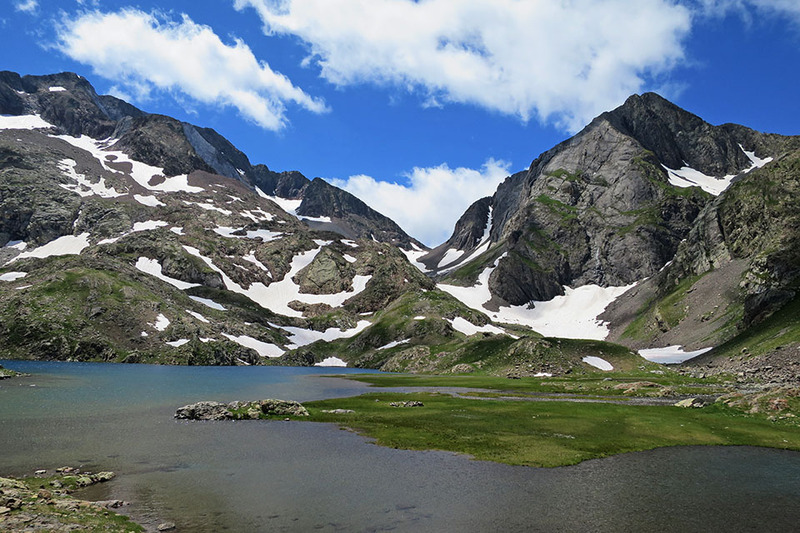 There is a small cabin at the blue lakes (precarious condition) and another small one on the north bank of the Bachimaña Alto reservoir (acceptable condition, a 30mins detour). At the end of the stage, at the Panticosa spa, you have the Casa de Piedra auberge	(/). It has a bar, food service and a free kitchen. If it’s luxury you are looking for, you can always stay at the Gran Hotel. There are no bus services to the Balneario de Panticosa. The nearest option is the village of Panticosa, which is 7.3kms away (Alosa-avanzabus bus company). Detrás el Pico de la Forqueta, los Picos de la Fondella y el Musales. 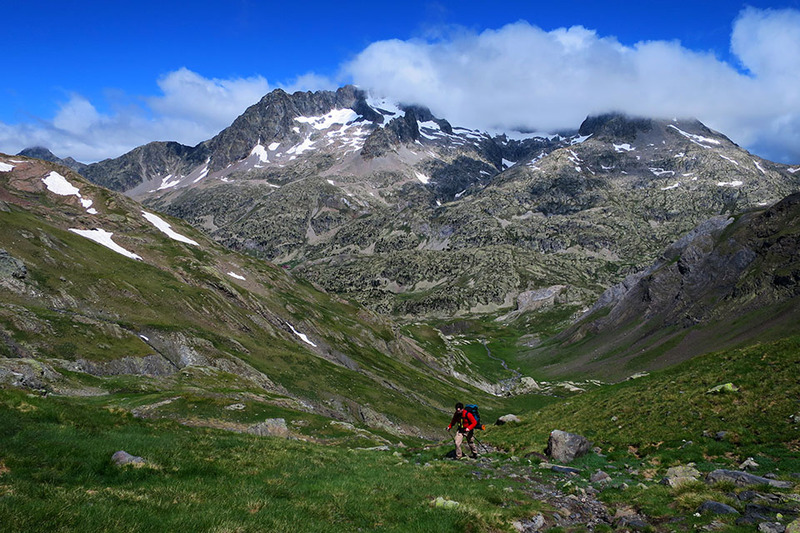 Camino del ibón de LLena Cantal con el Balaitús de fondo. Collado de Tebarray (Agosto), delante a la derecha. Cuello del Infierno desde los Ibones Azules. 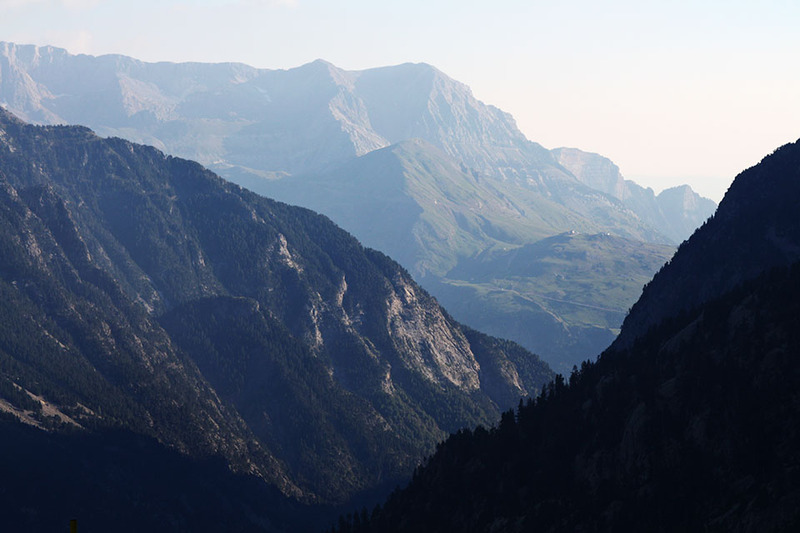 A la izquierda del collado los Picos del Infierno, a la derecha el Pico de Piedrafita. 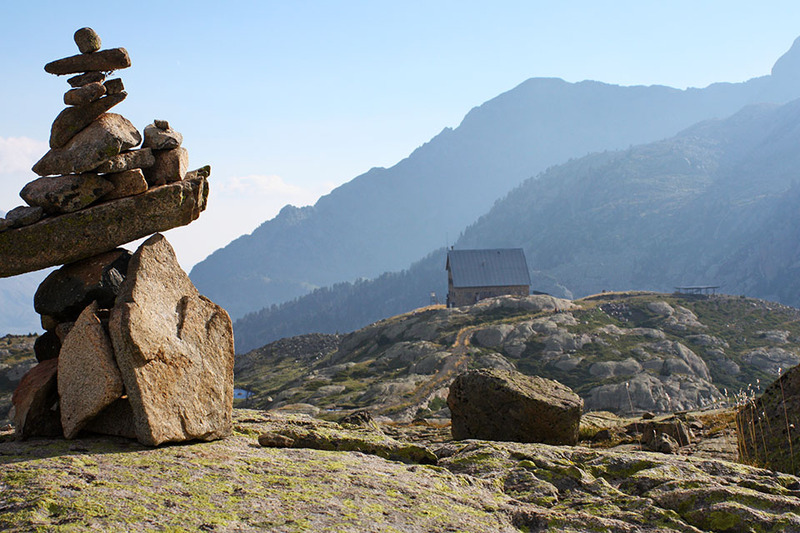 Refugio de los ibones de Bachimaña. Abajo en el valle se encuentra el Balneario de Panticosa. Al fondo la Sierra de Tendeñera.